The dynamics around the Christine O'Donnell campaign are going to set the stage for Sarah Palin's presidential campaign, if she chooses to wage one. O'Donnell is kind of a more Palin-y Palin, an attractive female committed social conservative who excites the base. Much of the establishment considers her totally unelectable, and some people who have worked with her consider her totally unqualified to hold national office. Yet she has attained an iconic standing that makes opposition very tricky. One commonality is the issue of "respect." Fred Barnes explains that Mike Castle lost, in part, because he "didn’t respect a Tea Party-backed rival." The context of this claim is not that Castle failed to take O'Donnell seriously as a threat, but that he failed to treat her with appropriate deference. This is exactly the same dynamic that Palin's potential rivals are trying to navigate—run against her without seeming to endorse the calumnies of the dread liberal media. If and when O'Donnell loses, it's also likely that establishment Republicans will use her loss as an object lesson to the base in the dangers of nominating Palin (again, contingent upon Palin running.) It's an easy, "sticky" example of a similar circumstance. One problem, though, is that conservative activists might blame the establishment for O'Donnell losing—she would have won if the party supported her. Indeed, it might even be worthwhile for the GOP to invest some money in O'Donnell's campaign merely to tamp down thse recriminations. Meanwhile, Republicans have to be frightened of the precedent. Here you have a slam-dunk case of an obviously unelectable candidate, which the party gangs up against in order to advance its obvious interests. They spend a week bombarding O'Donnell with disqualifying character attacks, and pleading with the base to think strategically. Yet it totally fails. Now, Palin is not as unelectable as O'Donnell. (You tell me the state of the economy in 2012, and I'll tell you how electable she is.) She also doesn't have the benefit of running against a Mike Castle. (Though Mitt Romney, whose health care plan was a more liberal version of Obama's, will be a ripe target.) But she has a much deeper base of support going into the race. 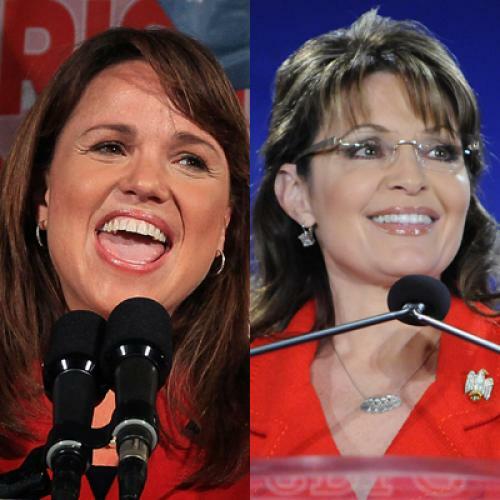 How would Republicans persuade their voters that a vote for Palin is strategically daft? At this point, their best hope is either that the economy performs so badly that anybody can beat Obama, or that Palin chooses not to run.